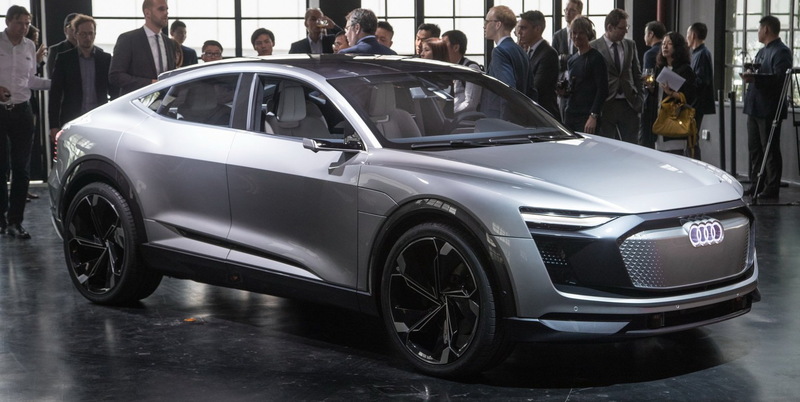 Audi’s electric vehicle range is expanding as after having recently given us the e-tron SUV, the Ingolstadt brand is about to deliver its second mass-produced EV called the e-tron Sportback. 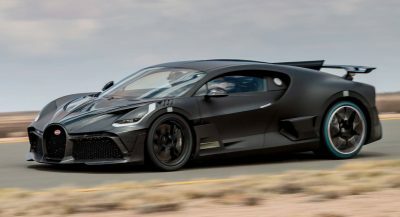 Whilst it was on display at this year’s Geneva Motor Show, it largely flew under the radar due to it being tucked away in a corner and covered with camouflage. Luckily for us, the camo was thin and now we know exactly what it will look. 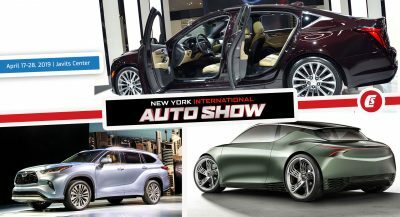 What else can we expect from Ingolstadt’s latest offering? Let’s take an illustrative preview before the official veil is lifted. Bait and switch over the concept? Remember the stunning E-Tron Sportback concept from the 2017 Shanghai Auto Show? It was tipped to be a strong indicator of what would roll off Audi’s assembly line later this year. While we can see the resemblance, the production version has been toned down a lot. Elements like the frameless windows, inverted two-tone grille and staunch proportions haven’t made the cut; and bar the rakish roofline, everything else largely mirrors the regular e-tron. However, there are some subtle differences, as the front fascia is a tad more aggressive and the rear-end is shapelier with a discrete ducktail rear spoiler. On the inside, the Sportback will get the same equipment and tech as found in the regular e-tron SUV. This means we can expect dual touchscreen controls and Audi’s 12.3-inch digital gauge cluster as standard. Those sleek, wing-mounted cameras in place of conventional side mirrors will be optional and buyers can also specify Audi’s self-parking assist, along with 360-degree display, lane departure alert, MMI navigation plus, clever adaptive cruise and intelligent Matrix LED headlights. 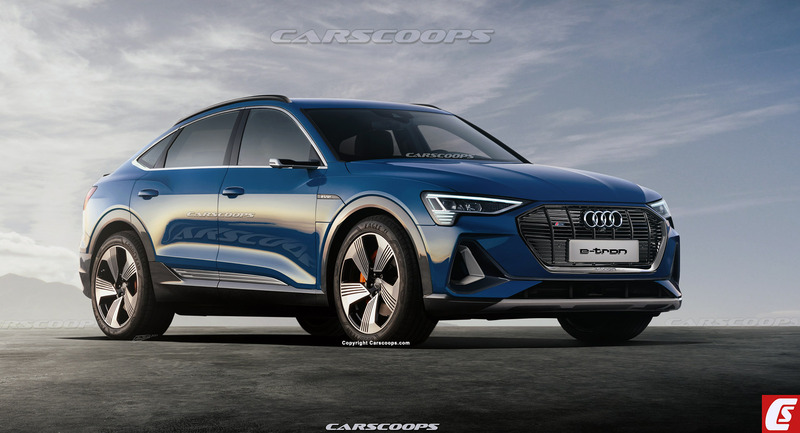 As with the regular e-tron, the Sportback will utilize a Quattro all-wheel drive setup with two electric motors generating a total of 402 HP (300 kW) and 490 lb-ft (664 Nm) of torque. This should equate to a 0-62 mph (100 km/h) time of around 5.5 seconds. A 95 kWh lithium-ion battery pack will provide a combined range of roughly 250 miles (402 km) in the WLTP cycle – although this could increase due to the more aerodynamic profile compared to the standard car. Battery charging will be aided by clever regenerative braking and 150kW fast charging capabilities. The Sportback utilizes the same modified MLB underpinnings as the normal e-tron, which means it’ll (likely) share its 2,928 mm (115.3 in) wheelbase and other dimensions (except for height). Unfortunately, the difference in height (due to that sleek roofline) means that rear passenger headroom and trunk-space will be reduced. 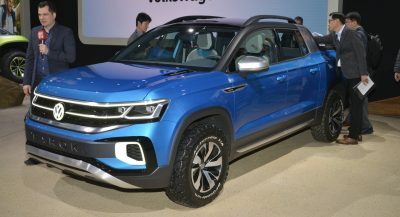 Although the latter isn’t lacking with a healthy 550-litres of boot capacity and further 60 liters of under-hood ‘thrunk’ space for smaller items. The e-tron Sportback will muscle in on EV territory occupied by Jaguar’s I-Pace, Tesla Model X (and newly revealed Y) and Mercedes-Benz EQC. It could even appeal to buyers who’d normally gravitate to pseudo-coupes like BMW’s X4 and the Mercedes-Benz GLC. The official reveal is likely to happen in the coming months, with production scheduled to commence sometime later this year. What are your thoughts on the e-tron Sportback; should Audi have pushed the envelope further? Tell us in the comments below. The concept looks way much more better. That sport back should give it an extra 2 miles of range so now it’ll have 206. VW is just rearranging deck chairs on the Titanic. This is not what the eTron needs. 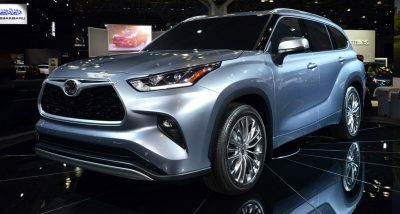 It obviously doesn’t look as good as the concept, but still better than its main competitor, the Tesla Model Y. But given what we’ve just recently learned about the terrible the more realistic EPA range on the regular e-tron – just 204 miles – this car just doesn’t appeal at all if it doesn’t offer significantly better range (at least as an option!) Which makes me sad – as I was hoping this would be it. The Tesla Model Y still being a year and a half away (at least) and my current car on its last breath….this car was gonna save the day for me. Now it looks like it’ll be a race between the Model Y and the Polestar 2. Looks like Audi going after the “environmentalists greeny crowd that want to standout and be recognized. They tend to want EVs that are ugly, stodgy and extremely small size to show the world how concern they are for the environment.